There aren’t a lot of compact SUV hybrids on the market today, but at Vann York Toyota in High Point, NC, we’re delighted to have the perfect vehicle in stock for drivers looking to get into fuel-efficient SUV. The 2016 Toyota RAV4 Hybrid is an amazing SUV that is capable of saving you hundreds of dollars on fuel every year. Vann York Toyota has served Greensboro, Winston-Salem, Kernsville, and Jamestown, NC for a number of years. Stop by our dealership at 500 Eastchester Dr. today and explore the new RAV4 Hybrid today. 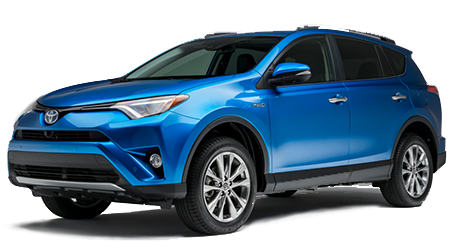 The 2016 Toyota RAV4 Hybrid is a brand new vehicle for the automaker. The compact SUV hybrid fits into the small segment as one of the best options. The RAV4 Hybrid gets the same exterior styling as the non-hybrid RAV4, which includes available LED taillights and optional LED headlights. To keep you comfortable every day, the compact SUV hybrid has a modern interior with all of the latest technology. As a hybrid vehicle, the RAV4 Hybrid has the same fuel-efficient powertrain as the Lexus NX300h. The compact SUV hybrid is equipped with a 2.5L Atkinson-cycle four-cylinder engine that is paired to Toyota’s two-motor Hybrid Synergy Drive System for a total output of 194 hp. For the ability to tackle a diverse set of driving situations, the RAV4 Hybrid has an AWD system as standard. For a versatile compact SUV hybrid that can save you hundreds of dollars on fuel, check out the 2016 Toyota RAV4 Hybrid. At Vann York Toyota in High Point, NC, we have a vast selection of vehicles for drivers from Thomasville, Lexington, Asheboro, and Burlington, NC to examine and will get you our best price on a vehicle. Pay our dealership a visit at 500 Eastchester Dr. today and experience the new RAV4 Hybrid today.